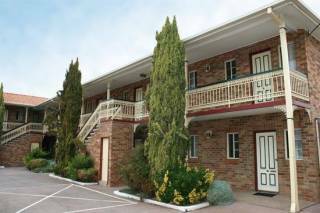 Accommodation in the Canberra & surrounds, ACT region. Book holiday houses and apartments for rent or browse towns for accommodation. 4 properties found in this region. The Australian Capital Territory is best known for its architecture, museums, galleries, culture, history, Indigenous heritage, politics, art, sport, gardens and national celebrations. Be entertained by stylish bars, clubs and casino. Highlights of Canberra include, the iconic Parliament House, War Memorial, Lake Burley Griffin, Botanic Gardens, Black Mountain lookout, shopping centres, bargain outlets and markets. Attend one of the many festivals that Canberra has to offer all year round. There is something for the entire family. Best of all Canberra is just over a 3 hour drive from Sydney. Use Canberra as a base to discover other nearby areas like the beautiful beaches of the South Coast or climb and ski at Australia's highest peak in the Snowy Mountains. Showing 1-91 out of 91 places found in this region. 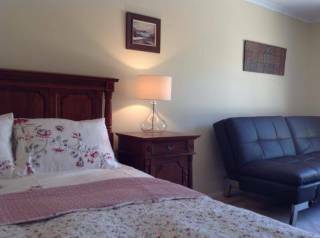 Self-catering, self-contained and furnished budget accommodation in Canberra is perfect for short term or long term business travelers from construction, government, corporate and embassy. A stroll away from Canberra’s CBD, this uniquely designed loft-style apartment has everything you need for an enjoyable stay. Wake up to serene mountain views and enjoy your morning coffee on the expansive balcony. Enjoy the style, comfort and relaxed atmosphere of our friendly Motor Inn, located only minutes from the heart of vibrant Canberra - the nation's capital. Our staff are here to ensure you have the best possible stay. One bedroom Cottage in Canberra. 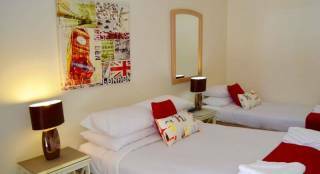 Has a quality Queen size bed with Sleepmaker mattress and brand new double leather sofa that converts to a bed in the bedroom.